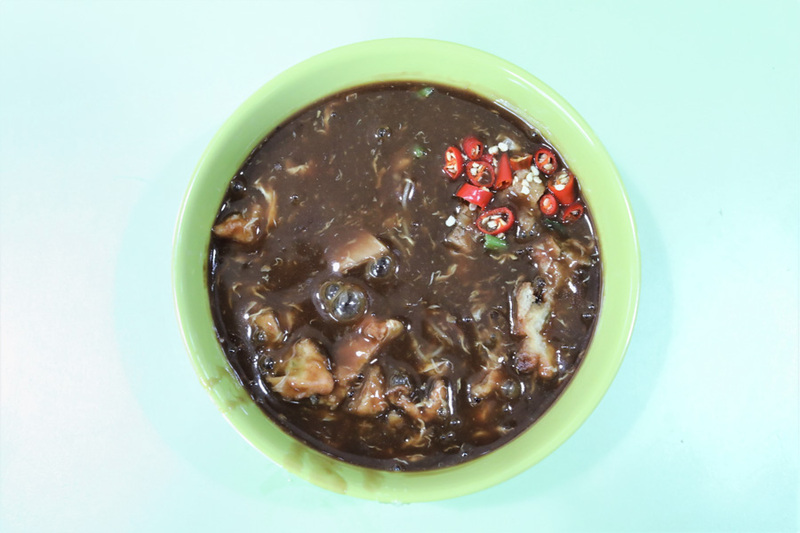 Amoy Street Food Centre is easily the most popular and crowded hawker centre (just try coming during peak hour lunch time) in the CBD area. People who work in the CBD are known to have quite picky tastebuds, and you can sometimes tell the food quality from the length of queue. Hong Kee Beef Noodle, Hoo Kee Rice Dumplings, and Ah Ter Teochew Fishball Balls. 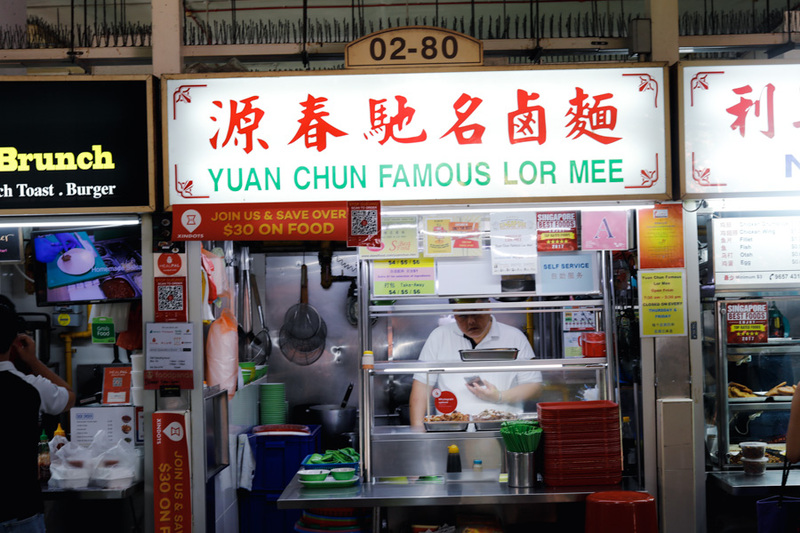 There is also Yuan Chun Famous Lor Mee 驰名源春卤面 which is listed in the “Michelin Plate”, and appears to be the most under-the-radar, located on the second floor. 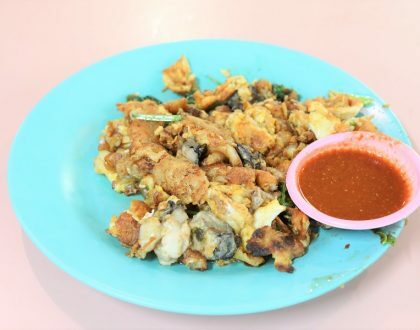 The stall was originally from Boon Tat Street, and there appears to be a change in ownership. They used to occupy two stalls (now one), and has a far shorter queue from what I remembered. When I did some checks, it has a 1.9 Google rating out of 20 plus reviews, with most giving reasons such as ”the standard dropped”, ”rude and nasty”, and charging of additional $1 for providing an extra empty bowl. Not that sure about the last part. I won’t say that the hawker was rude – he was okay, but perhaps appeared slightly nonchalant, with a look that you probably shouldn’t get into his bad books. 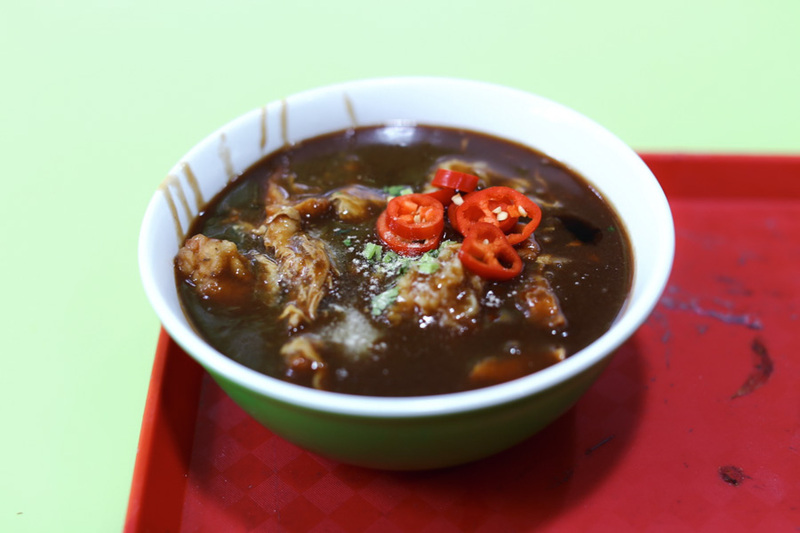 Lor Mee is a Singaporean hawker dish of Hokkien heritage, though there appears to be less and less stalls offering it. 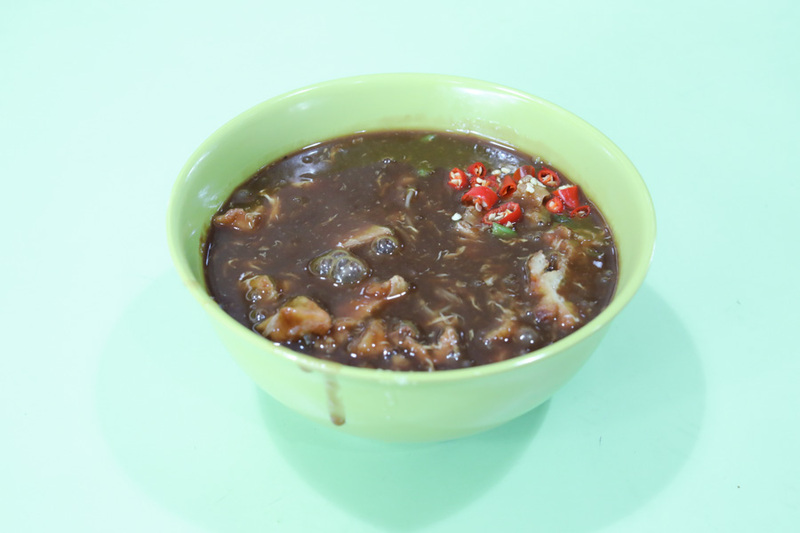 The lor or gravy is simmered for many hours with spices, meat stock, egg whites and corn starch to give it a viscous consistency. 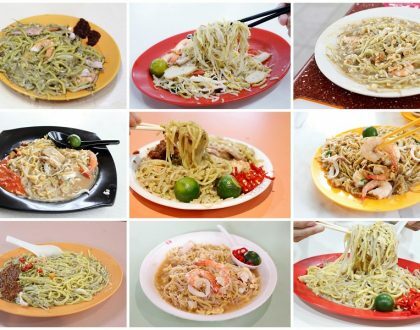 The key mee used is the flat yellow noodles, though some stalls will do their own variations and customers can choose kway teow, bee hoom, or a mixture. 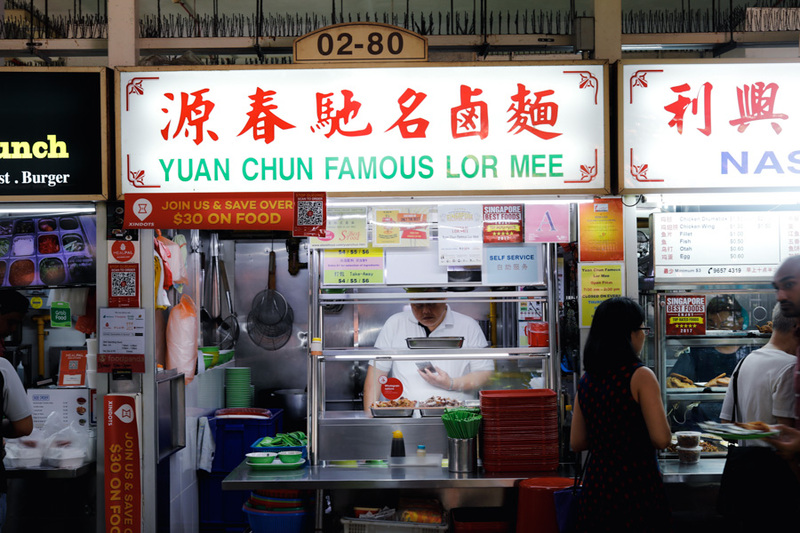 Yuan Chun only serves Lor Mee ($4, $5, $6) and nothing else. 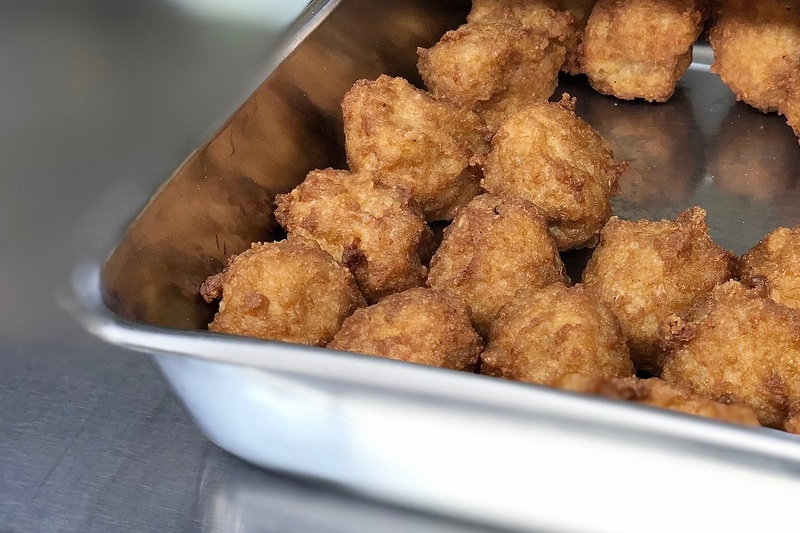 The $4 is the very basic bowl, but you can pay more if you want additional toppings such as the deep-fried meat balls. I would usually go for a mixture of thin white bee hoon and yellow flat noodle, and it would be quickly assembled with ngoh hiang (meat roll), braised pork belly, bean sprouts, and fried crispy fritters. 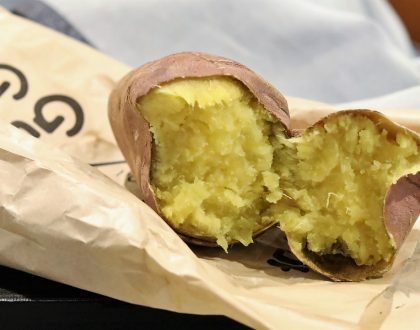 Its differentiating factor is probably the lor, viscous but not starchy, and does not easily separate and turn watery over time unlike in other stalls. The fish used is not the fried-type but steamed fish with the meat hauled out. Note that they do not incorporate any spicy sambal paste, and gives out cut chili instead of chili paste so it may not be spicy enough. 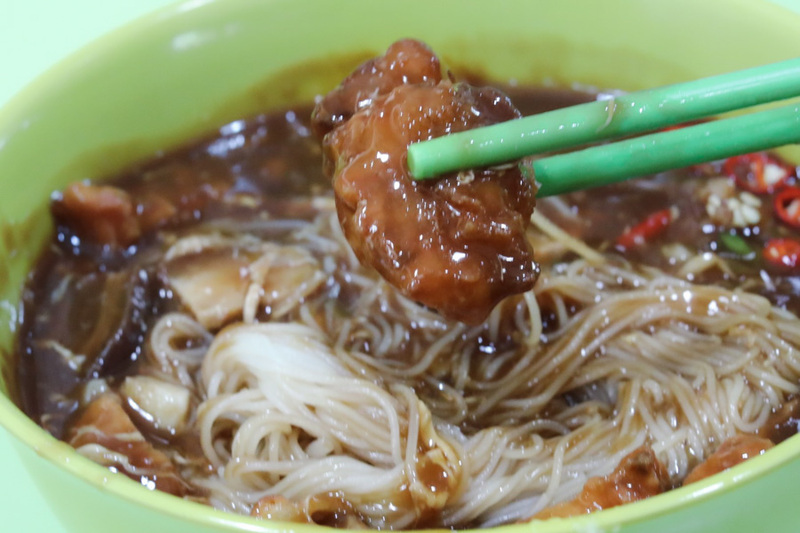 My take is, it used to taste much better, but if you are craving for a lighter version of Lor Mee that doesn’t feel too rich, this could be it. You should try the nasi lemak stall next to it and give us your review. 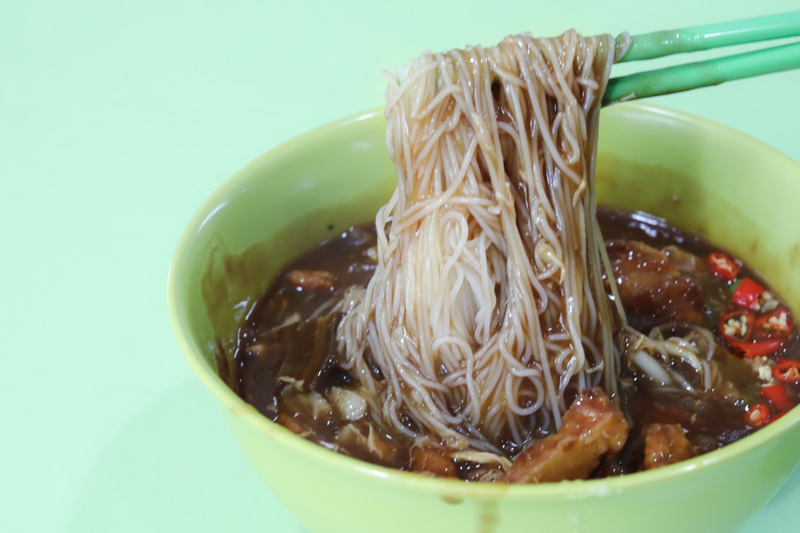 I ate this growing up and it was my benchmark for lor mee. Went there to eat recently and the standard definitely dropped. I used to dabao home to eat and it tasted better than eating it on the spot nowadays.